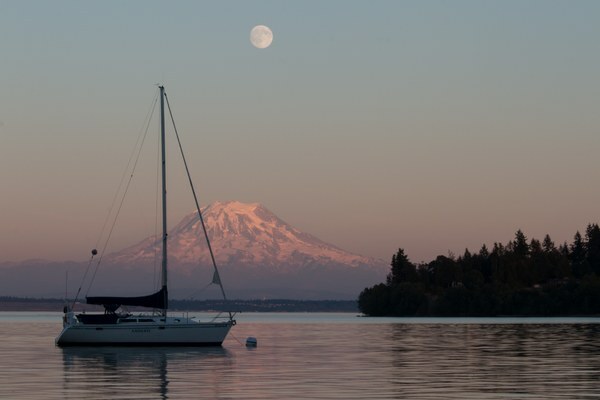 Learn to sail with us and you'll have a crew roster with your name on it, and a sailboat ready to set course across the Puget Sound, down the Washington coast, up to the San Juan Islands and maybe even internationally. 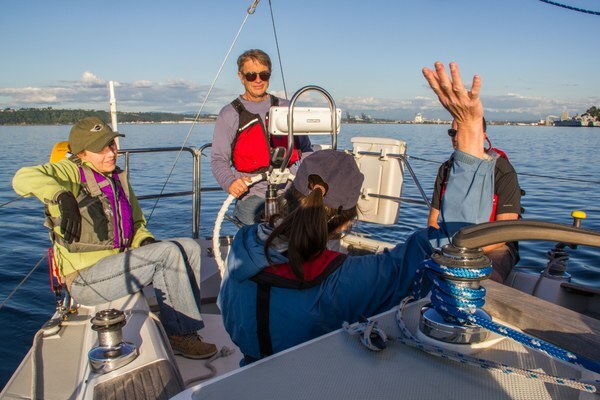 Learn how to be crew a sailboat, rig a sloop-rigged boat, depart from and arrive at a dock under power, understand sail trim and sailboat maneuvering while gaining knowledge of charts and navigation aids, personal gear requirements and safety practices. In the spring by our Seattle and Tacoma branches. Course registration is typically open February-March. Dead Reckoning: using speed, time traveled and distance traveled to plan a route. Piloting: using known landmarks, chart information and currents to determine and track your position. Generally in May-August with Seattle and Tacoma branches. Learning about all three sails typically used in sailboat racing: Main, Genoa, and Spinnaker. The Racing Rules of Sailing, and how they apply during a race. A more in-depth understanding of sail trim and boat speed. Basic personal gear requirements and safety practices encountered during races held in the Puget Sound area. Racing tactics and strategy, and how to apply them during a race, as well as a basic understanding of the anatomy of a sailboat race, from prestart to finish. Sail changes done while under sail. Generally in June every other year (even years) with the Seattle branch.